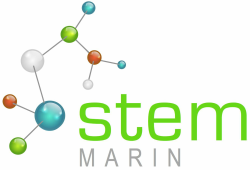 Students should fill in applications for STEM Marin during their 8th grade year. Applications for STEM Marin are made available on the San Marin High School website on November 1st. Applications are due by January 10th. Please feel free to compose your answers in another document, then copy and paste them into this application. Students will be notified of their acceptance by February 15th. STEM Pathway and San Marin's other STEM Marin program, Biotechnology Pathway, share an application so you can fill in one application and have it apply to both programs. The application consists of some paragraph answer and short answer questions as well as grades from English, Math, and Science from 7th and 8th grades. The application should be completed by the student independently. Questions about the application process can be directed to Assistant Principal Diane Santamorena (dsantamorena@nusd.org).